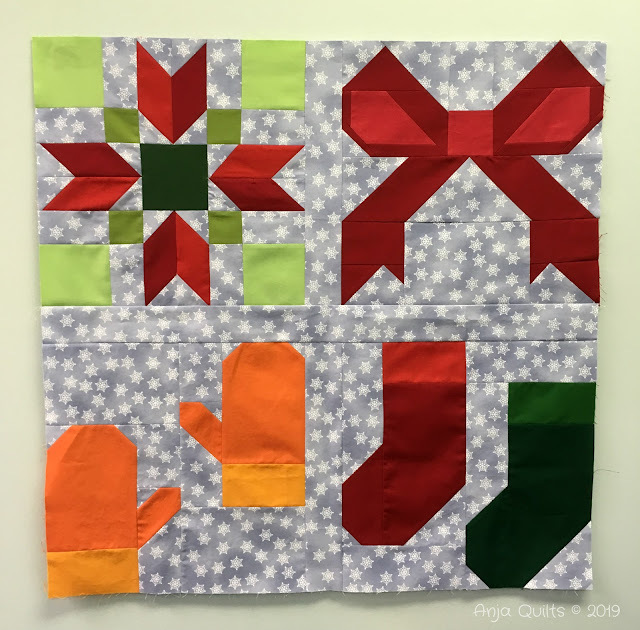 Back in January 2017, I started the Have a Jolly Little Christmas QAL hosted by Lorna @ Sew Fresh Quilts. For some reason, I only completed three blocks. 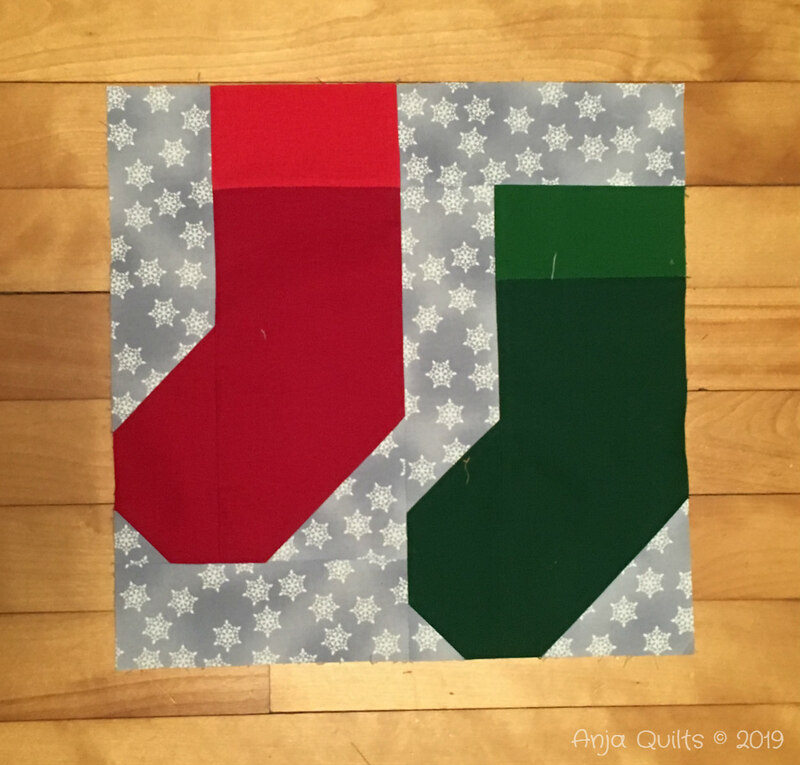 All the blocks are 12.5 inches, and the first one was Christmas Stockings. Winter Mittens was the second block. 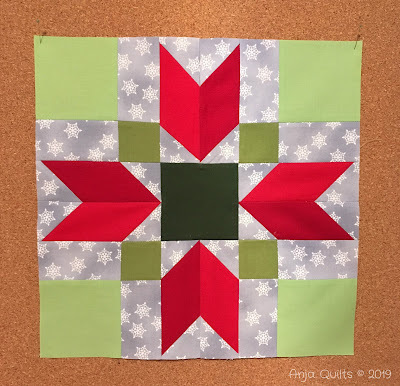 I had the pieces cut for the Poinsettia block, but I didn't get around to sewing it until this New Year's Eve. I decided to add some sashing and to piece the four blocks into a mini quilt - about 26 inches square. So although I didn't finish the QAL, I can say that I participated and made something. 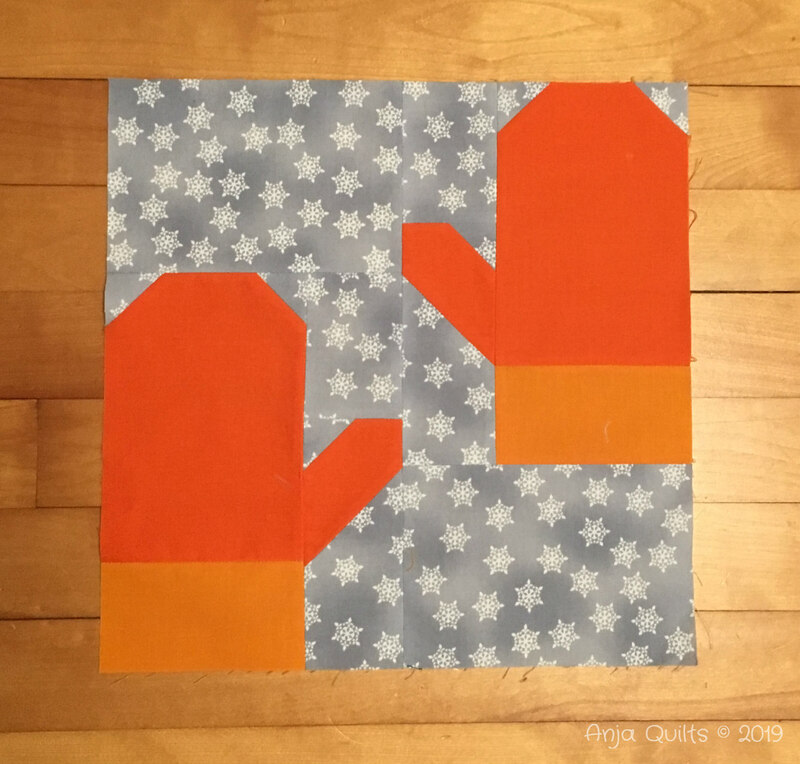 I just need to decide on a quilting plan so I can hopefully finish this in January. 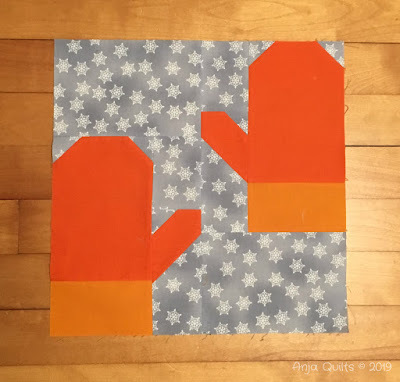 Lorna created some fabulous blocks, and the tutorials are still on her blog. If you're looking for a fun Christmas project, I'd recommend that you head to her blog. 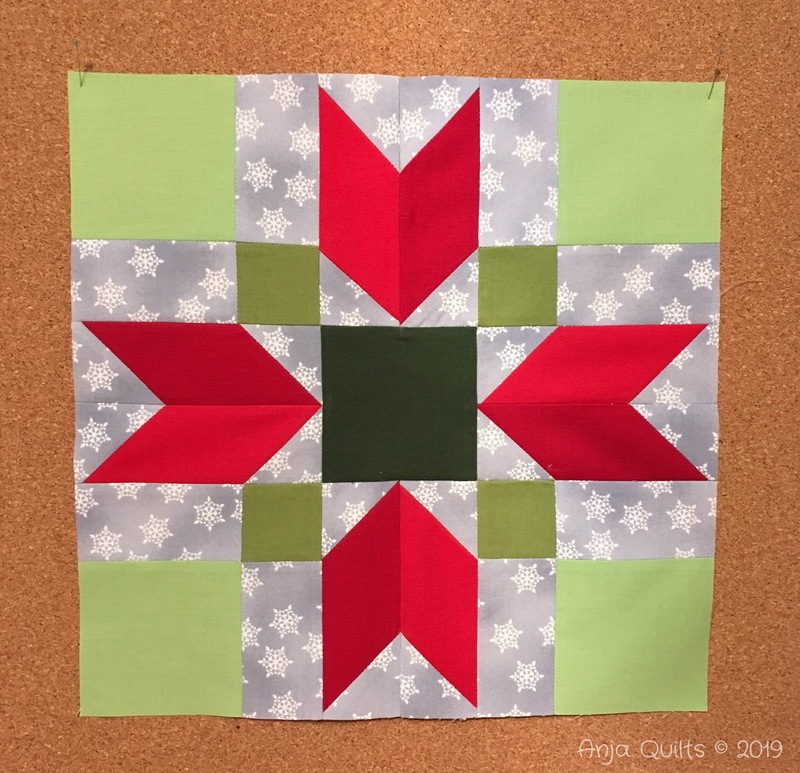 What a sweet mini quilt. It seems like that's the best solution to the blocks that have been hanging around (how can 2017 be 2 years ago??). Love your mini quilt! Using the blocks you already had done was a great way to get a UFO done. These blocks are beautifully stitched...it would be a shame to let them languish any longer. Will make a lovely little quilt. Happy Stitching in 2019. Looks great, even if it is a modified version. Sometimes, it just happens. 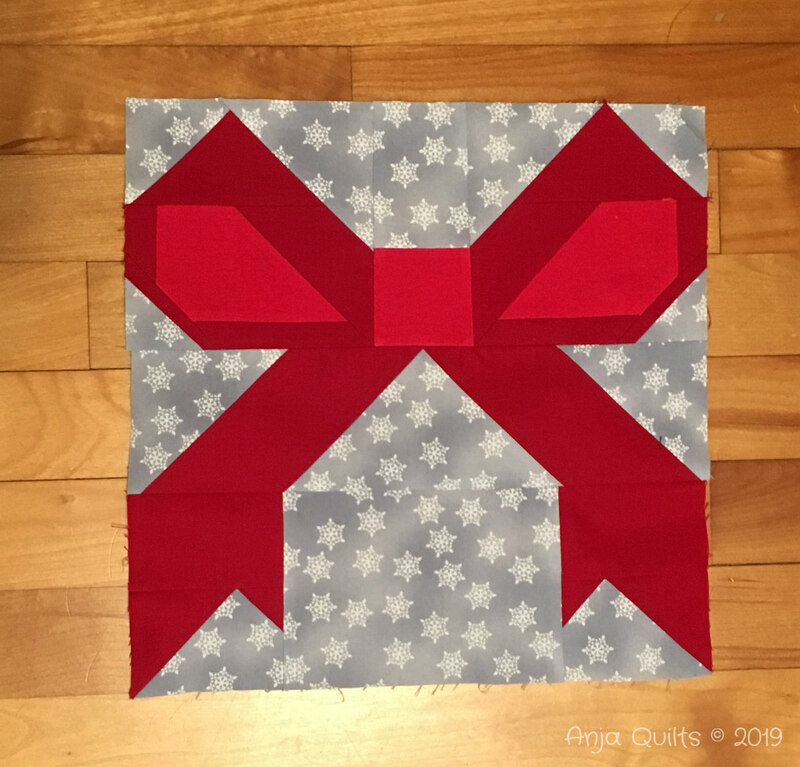 You know, maybe you don't need a big Christmas quilt when a cute mini like this one can be made! Lovely, lovely. Can't wait to see it quilted. Thanks for sharing on Wednesday Wait Loxx.